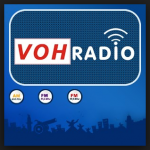 VOH Radio most of the time play International, Country, Rock, Folk etc music. This radio live broadcasting from ho chi minh city, Vietnam. It also play 24hours various kind of music genres.